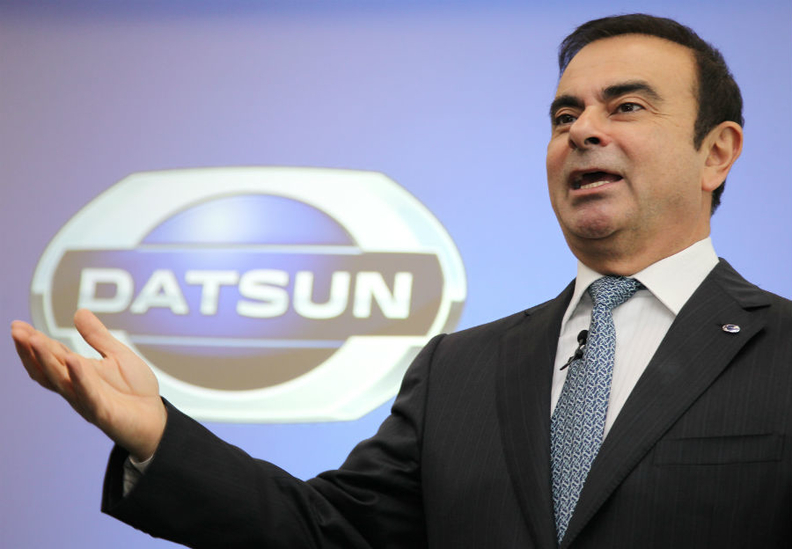 Datsun will offer 'quality and modernity,' Ghosn says. YOKOHAMA, Japan -- Nissan Motor Co. is counting on its Datsun brand to attract a vast pool of first-time car buyers in emerging markets. Nissan is reviving the 80-year-old Datsun nameplate for entry-level cars in Russia, India and Indonesia starting in 2014 and will add two Datsun models every year in those markets, the carmaker said on Wednesday. Datsun will eventually expand to other high-growth markets and become a global brand that offers products tailored to the regulations and consumer needs for each market, Nissan CEO Carlos Ghosn told reporters. But Datsuns will not be offered in mature markets such as Japan, western Europe and the United States, Ghosn said. Datsun will account for one-third to half of Nissan's sales in Russia, India and Indonesia and Russia by the business year ending in March 2017, the company said. Two Datsun models will launch in the first year and the lineup will be enhanced within three years in each of the initial markets. Nissan Vice President Vincent Cobee, head of the Datsun business unit, said the brand aimed to appeal to a growing population of young, up-and-coming customers looking for something new, whether it is types of sales financing or vehicle accessories offered. Ghosn said: "Datsun was known for a product that was robust, reliable and affordable. These are good attributes to start with, [and] we're going to add good quality and modernity." In India, Datsun's target price would be below 400,000 rupees ($8,000), where the bulk of demand lies, Ghosn said, possibly, but not limited to an ultra-low-cost car being developed in a joint project with French alliance partner Renault and India's Bajaj Auto Ltd.
For Nissan, selling cheaper cars under an independent brand removes the risk of hurting its core brand -- a conundrum that rivals such as Toyota Motor Corp. and Honda Motor Co. faced as they push the limits of low-cost offerings in India and other markets. Analysts said building a successful brand was no small feat, requiring years of dedication, allocation of sufficient resources and the right products. "I'm not convinced," UBS auto analyst Tatsuo Yoshida said. "They haven't even achieved a solid brand identity for Nissan yet. It's going to be a bumpy road." Nissan's third global marque after its core brand and Infiniti will help the company compete against rivals such as Maruti Suzuki in India and Toyota in Indonesia, according to Ammar Master, an analyst at LMC Automotive in Bangkok. "Datsun could bring in volumes at the lower end of the market while the Nissan brand will continue to move upmarket," Master said. Nissan last year said the carmaker aims to increase its share of the global car market to 8 percent by the year ending March 2017, from 5.8 percent in the year ended March 31, 2011. The company had said at that time it will introduce 51 new models, capture a larger share of the luxury-car market and increase sales in emerging economies.